Convenient bride...loving wife? Eulalia cannot bear the thought of losing her home, especially at Christmas! But with money running out she knows there's no hope...until handsome surgeon Aderik van der Leurs show up on her doorstep - with a very convenient proposal! Though Aderik appears to want her simply as his convenient bride, he's yearned for beautiful Eulalia from afar. But this Christmas dare he hope that his new wife will also surrender her heart? Originally published in 2000. New to ebook! Dearest Eulalia: A Classic Doctor Romance by Betty Neels is a 2017 Harlequin Special Release publication. It’s so nice to see Harlequin is keeping Betty Neels’ legacy alive. This is a short story which, if my information is correct, first appeared in a holiday centered anthology, originally published in the early 2000’s, called ‘Mistletoe Miracles’. Released in digital format, just in time for the holidays, this sweet historical romance is centered around Eulalia, who lives with her ailing grandfather and works at the local hospital. When Aderik van der Leurs, a surgeon, arrives in town, he immediately takes an interest in Eulalia, and quickly proposes marriage. Initially, Eulalia is reluctant, but a sad turn of events will prompt her to reconsider, even it is only a marriage of convenience… or is it? Aderik is content to allow Eulalia to believe the marriage is not a love match, that they can be friends, and enjoy one another’s company until such a time that Eulalia feels comfortable in the marriage. But, of course, he’s already in love with her, and wants her to fall in love with him in her own time. Eulalia soon becomes frustrated by her developing feelings, believing Aderik does not return them, while he wishes fervently she would fall for him, sooner rather than later. Aderik is a little arrogant, I suppose, presuming Eulalia will eventually fall for him, but he does have the patience of Job and was very sweet and romantic, and Eulalia is sensitive, longing for true love, but believing it to be elusive. She is also a strong character and very likable. This is such a short story, and is not really the best representation of Neels’ work, but I still enjoyed the sweet, old fashioned, very chaste, romance. I am a late bloomer when it comes to reading romance. 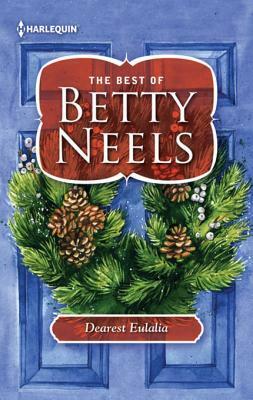 But, I discovered Betty Neels when I started my vintage paperback collection some years back. I loved her stories, all of them sweet and emotional, but of course very, very, very old fashioned. But, if you can understand the era in which Neels’ was so very popular, and in this case, the historical settings in the story, you might find her stories are timeless classics and quite lovely. This one is recommended for fans of this author, first and foremost- but if you long for good old-fashioned love stories, but have given up all hope of ever finding any in the age of Christian Grey, then Betty Neels’ is the author you are looking for. 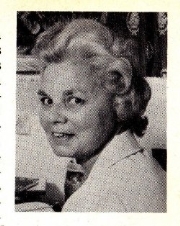 Betty Neels (born 15 September 1909 in Leyton, England – d. 7 June 2001 in England) was a prolific British writer of over 134 romance novels (first publication entirely for Mills & Boon in United Kingdom and later reprinted in the North America by Harlequin), beginning in 1969 and continuing until her death. Her work is known for being particularly chaste.